May | 2015 | Utility Service Partners, Inc.
Water is essential to life. From quenching our thirst to producing food, manufacturing goods and enabling transportation, water is essential to every aspect of life. Public works companies place a dollar value on your usage, but is that the true value of water? In America, more than 176 gallons of water are used per day to support a variety of activities such as food and drink production and cleaning. In fact, water is used to produce more than 50% of the food we eat and beverages we drink, making it essential to maintaining the quality and quantity of food available for consumption. In the home, more than 90% of the water used goes down the drain from activities such as showering, flushing a toilet and washing clothes. On top of that is the water lost through leaking pipes in and around your home. While many think the world has a never-ending, abundant water supply, research shows that many areas of the world are already experiencing significant drought. In the U.S., California is one area that has been experiencing the most severe drought on record, with little relief in sight. However, the drought in California affects more than just those in the area since this state produces a significant amount of fruits and vegetables. Protecting water sources can be simple and can start right in your community. Researchers at the Value of Water Coalition estimate that 1.7 trillion gallons of drinking water are lost every year to faulty, aging or leaky pipes. When you add in leakage from sewer and stormwater pipes, that rises to 6 trillion gallons! With more than 300,000 water main breaks occurring every year, the time is now to take action and become a proactive community. “This historic drought demands unprecedented action,” California Governor Jerry Brown said in an April 2015 article, while standing on a dry area normally covered by heavy snow. In many areas, city leaders are realizing the importance of improvements to infrastructure, which generate $6 in a return on investment for every $1 spent. In addition, to assist homeowners, communities are partnering with programs that support water conservation and reduce ground pollution, like the Service Line Warranties of America Program. Offered at no cost to the city, this program provides homeowners with a low-cost solution to protect themselves from the potentially high cost of repairing or replacing broken or leaking water and sewer lines on their property. Even just preventing leaks and breaks from becoming major problems can have a direct impact on your community – especially for areas prone to drought. Protecting our precious water supply requires a concerted effort on all fronts. Public infrastructure investment at the local and national levels are critical, but a commitment by every citizen to water conservation is also required. The time is now to place a real value on water – life’s most precious resource. Canonsburg, Pennsylvania – Utility Service Partners, Inc. (USP) is excited to announce the addition of a new product to the National League of Cities (NLC) Service Line Warranty Program. The In-Home Plumbing repair protection was introduced in response to city resident requests for a total protection solution and access to trustworthy contractors that could make the repairs quickly and effectively. The NLC Service Line Warranty Program is endorsed by the National League of Cities and administered by USP. The In-Home Plumbing Repair Program provides up to $3,000 in coverage for broken, leaking or clogged water and sewer lines inside the home, including drain lines connected to the main sewer stack. This spring, 21 city partners introduced the In-Home Plumbing Repair Program to residents in their communities. Homeowners in Valparaiso, Florida; Union City, Georgia; Sheffield, Rolfe and Lovilia, Iowa; Richton Park and Franklin Park, Illinois; El Dorado, Kansas; Berkley, Michigan; Snow Hill and Mooresville, North Carolina; Charleroi, Wilkes-Barre and Farrell, Pennsylvania; Carlisle, Lexington and Union, South Carolina; Sanger, Texas; Stonewood and Clarksburg, West Virginia, and Lingle, Wyoming, are able to enroll in the program by phone, on the web or by returning the reply card attached to their offering letter. About Utility Service Partners – Founded in 2003, Utility Service Partners, Inc. strives to be the leading provider of service line warranty solutions to North American municipalities and utilities by delivering quality programs that benefit the communities into which the program is introduced. Operating under the consumer brands Service Line Warranties of America (SLWA) and Service Line Warranties of Canada (SLWC), USP and affiliates are committed to addressing aging infrastructure through public-private partnerships. Categories: Uncategorized | Tags: Inc., National League of Cities, NLC Service Line Warranty Program, Service Line Warranty Program, Utility Service Partners | Permalink. Many areas of North America have been plagued by severe drought in recent years. On the west coast, areas such as California are facing the worst drought they’ve ever experienced. Water conservation is important for every community, regardless of whether or not you live in a drought-stricken area. While many homeowners are forced to let their beautiful landscape turn brown in favor of water conservation, experts encourage homeowners to keep their trees alive because they provide so many benefits. Trees help improve air quality, provide shade and create a habitat for wildlife. Unfortunately, they also require a significant amount of water to survive. 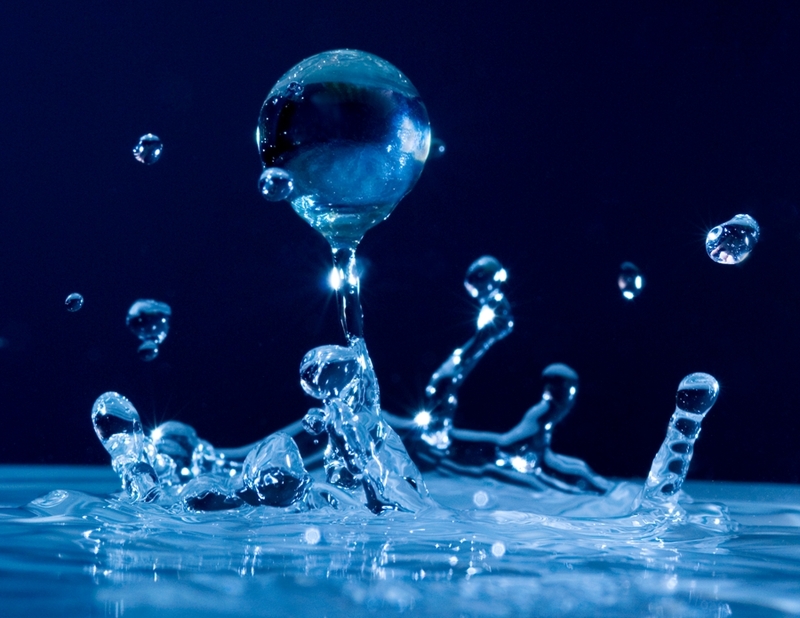 Check out these helpful tips on how you can conserve water in your home. Don’t bag grass clippings. They help cool the ground and retain moisture. Use a rain barrel to harvest rainwater for plants. When replacing landscaping, choose plants native to your climate that need less water. Use a broom instead of a hose to clean patios, walkways and driveways. Use a few inches of mulch around plants to help retain moisture. Group plants with the same watering needs together. Bathe pets in an area of your lawn that needs watering. Let grass grow a little taller to help retain moisture. Don’t water on a windy day as the water will blow away or evaporate. Don’t run the water when washing dishes by hand. Fill one sink with soapy water and the other with rinse water. Don’t use running water to thaw food. If you drop ice cubes, throw them on a houseplant instead of in the sink. Rinse fruits and vegetables in a bowl of water and then use it to water your plants. Keep your shower to under five minutes to save up to 1,000 gallons per month. Turn off water when you brush your teeth to save up to four gallons a minute. Avoid water toys that require constant flow of water.